Newnan, Ga., resident Arthur W. Singleton was sentenced Thursday to two years in prison for fraudulently obtaining several government construction contracts reserved for veterans with service-related disabilities. He also was ordered to pay $181,000 in restitution. According to U.S. Attorney Sally Quillian Yates, the charges and other information presented in court: Singleton owned a construction firm named “Singleton Enterprises” and had more than 30 years of experience in the construction industry. In 2007, Singleton, 63, approached a Vietnam veteran (who was bedridden from surgeries related to his combat injuries) and proposed staring a business to exploit the veteran’s disabled status to get federal government contracts that were reserved exclusively for companies owned and run by service-disabled veterans. When the veteran agreed to the scheme, Singleton formed two companies using the veteran’s name. 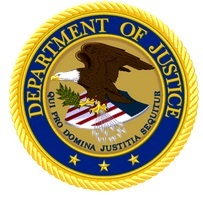 A federal grand jury indicted a Luthersville man this week on charges of getting $2.85 million in government contracts by fraudulently claiming his business was controlled by a veteran. Arthur Wayne Singleton, a 62-year old construction contractor, defrauded programs that set aside certain government contracts for businesses owned and controlled by disabled veterans, according to a federal indictment. Attempts to reach Singleton or his lawyer Brian Steel for comment were unsuccessful. The contract program is an important resource for disabled vets because they are often discriminated against in employment and business opportunities, said David Autry, spokesman for the Disabled American Veterans in Washington DC. Singleton approached a bed-ridden Vietnam vet, identified in the indictment only as “GT”, in 2007 and proposed they form a joint venture called GMT Mechanical that could take advantage of set-aside construction contracts from the federal government, according to the indictment. GT suffers from severe knee injuries and other health issues as a result of his service. Singleton, who had more than 30 years of construction and federal contract experience, completely controlled the enterprise, the indictment said, and federal rules required the disabled veteran to control the business and own 51 percent. The U.S. Attorney’s office has not indicted GT but declined to say whether he was a cooperating witness. The payment to GT followed an inquiry by the VA, which sent a letter in February 2008 stating GMT Mechanical wasn’t eligible for “service-disabled veteran-owned contracts” because GT didn’t control the business or own 51 percent of it. But Singleton went ahead and submitted bids for a $290,000 contract in Iowa with the Agriculture Department, a $96,000 contract in Wyoming with the Homeland Security Department and a $1.375 million contract in North Dakota with the Defense Department and forged GT’s signature on the bids, according to the indictment. Four federal agencies were issued subpoenas by the House Small Business Committee on Oct. 20 for not complying with the Small Business Act’s procurement policies, according to a committee staffer. The departments of Justice, Agriculture, Treasury and State were summoned to appear before the the Small Business subcommittee on contracting and workforce on Nov. 1 to testify why they are in noncompliance. At issue is the “structure” of these agencies’ Small and Disadvantaged Business Utilization Offices (OSDBU) and “the fact that they are not reporting to the agency head or deputy head,” wrote Darrell Jordon, house committee spokesman, in an e-mail to Washington Technology. OSDBUs were conceived in 1978 with the purpose of having federal agencies set aside contracts for small and disadvantaged businesses. The Small Business Act also has requirements that agencies report their procurement activities with small and disadvantaged businesses. Justice, Agriculture, Treasury and State were warned of their missteps and given a chance to remedy the situation after a June Government Accountability Office small business contracting report found seven agencies not in compliance. Following that report, letters to agencies were sent by subcommittee Chairman Mick Mulvaney (R-SC). As a result, the Interior Department and Social Security Administration are now in compliance, and a third, the Commerce Department, was pardoned due to an administrative issue. In September, agencies were reminded of their noncompliance by memo and a hearing was held on Sept. 15 by the subcommittee to examine the GAO report and the economic impact of noncompliance. As part of the subpoena procedure, the four agencies must produce a number of documents, including paperwork relating to their small business procurement programs, attainment of small business goals or challenges to decisions not to restrict competition to small business between Jan. 20, 2009, and Sept. 30, 2011. 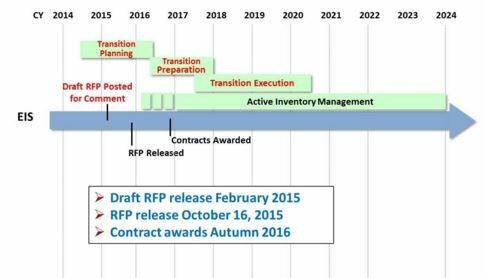 Filed Under: Contracting News Tagged With: Agriculture Dept., Commerce Dept., GAO, Interior Dept., Justice Dept., OSDBU, small business, small business goals, small disadvantaged, SSA, State Dept., Treasury, Treasury Dept. Conflicting interpretations of agency internal reporting requirements in the Small Business Act have prompted a stalemate between four departments and congressional overseers examining the performance of programs designed to assure that small businesses get a fair share of federal contracting. The Government Accountability Office in a report had found that seven agencies were not complying with the law’s requirement that the Offices of Small and Disadvantaged Business Utilization in every department except Defense must report directly to the agency. At a hearing Thursday with the House Small Business Subcommittee on Contracting and the Workforce, a GAO specialist reported that the State, Commerce, Treasury and Justice departments recently had declined requests that they comply. OSDBUs were created in 1978 to help reserve some federal contracts for for-profit small business concerns in which socially and economically disadvantaged individuals own at least a 51 percent interest and manage and control daily business operations. Concretely, they seek to make sure that the tendency of contracting officers to bundle contracts for larger contractors does not exclude the disadvantaged. Reporting directly to an agency’s leader rather than only to its contracting officers is considered essential to fair consideration of contract awards, and more than half the agencies GAO surveyed said their OSDBUs report only to the agency head. On Sept. 9, Small Business Administrator Karen Mills sent a memo to all agency heads asking them to comply. “Open and direct communication between the OSDBU director and the secretary, deputy secretary or their equivalent is paramount to ensure that small businesses receive the maximum practicable opportunity to compete for and win federal contracts that allow them to grow their businesses and create jobs,” she wrote. William Shear, director of financial markets and community investments at GAO, explained at the hearing that Commerce and Justice disagreed that they’re not in compliance, while State and Treasury made a legal argument that they are free to delegate the authority for how OSDBUs report. Shear told Government Executive that Agriculture didn’t reply, Interior sent a letter saying it will comply, and SSA promised to comply but hasn’t followed up with documentation. Claims by Commerce and Justice that they are in compliance, Shear said at the hearing, “don’t fit the fact pattern” obtained when auditors interviewed the OSDBUs about interaction with agency heads. He said GAO found evidence of tension and frustration at OSDBUs in agencies that were not complying because contracting offices are not always fulfilling their needs. “But some tension is healthy,” Shear said. He noted that there are no sanctions for noncomplying agencies. Ranking member Judy Chu, D-Calif., agreed with the call for compliance at the hearing, which also dealt with mentor-protégé programs and SBA’s performance on data on its procurement center representatives. “Failure to comply with this requirement not only shows a callous disregard for the law, but also shortchanges small businesses that end up suffering the consequences of OSDBU’s diminished agency standing,” she said. Filed Under: Contracting News Tagged With: Agriculture Dept., Commerce Dept., GAO, Interior Dept., Justice Dept., OSDBU, SBA, small business, Social Security Administration, State Dept., Treasury Dept. The Obama administration’s campaign to have agencies “lead by example” in sustainable purchasing became stricter this week when the Federal Acquisition Regulations Council released an interim rule on green procurement. It tasks the head of each agency with ensuring that 95 percent of new contract actions are for products and services that are energy efficient, water efficient, bio-based, environmentally preferable or non-ozone depleting, adhering to criteria set out by the Environmental Protection Agency and the Agriculture Department. With the exception of weapons systems, agencies also must aim to procure items that contain recycled content and are nontoxic. The toughened policy is being spearheaded by the Defense Department, NASA and the General Services Administration. It requires all federal contractors to support the government’s goals in environmental management, and includes new requirements for electronic or other paper-saving methods for submitting documents required by contracts. a clean-energy economy that will increase prosperity, promote energy security, protect the interests of taxpayers and safeguard the health of our environment,” the rule states. Agencies have until Aug. 1 to submit comment. By Nick Wakeman – Washington Technology – Apr. 09, 2010 – About the Author: Nick Wakeman is the editor of Washington Technology.